This Nordstrand steel wool is dispatched in a convenient feeder box which allows you to safely store the pest control roll and easily cut what you need. 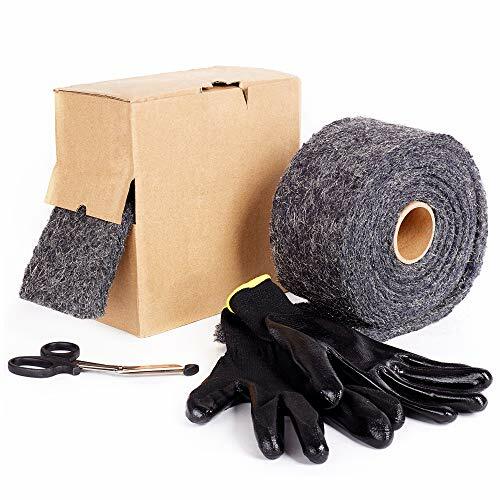 The set also includes protective gloves and scissors. Steel wool is ideal for quickly filling holes, cracks and gaps where pests and rodents can access your property or make a home. For the best results, use a putty knife to push the steel wool into the hole. Ensure it fills the gap and is tightly wedged. Roofing of all types is vulnerable to pests, including mice, rats, birds, squirrels, wasps and other insects who like to nest in roofing cavities. This Nordstrand steel wool solves the problem in seconds, blocking up access points quickly and easily. Made from steel wool mixed with poly fibre, this pest control product won't rust, sag or decay, whatever the weather. It's ideal for outdoor pest protection as well as inside homes, barns, garages and workspaces. If you have any questions about this product by Nordstrand, contact us by completing and submitting the form below. If you are looking for a specif part number, please include it with your message.